Balance, coordination and reaction training. Thermoplastic elastomers foam non slip. 50cm x 40cm x 6cm. 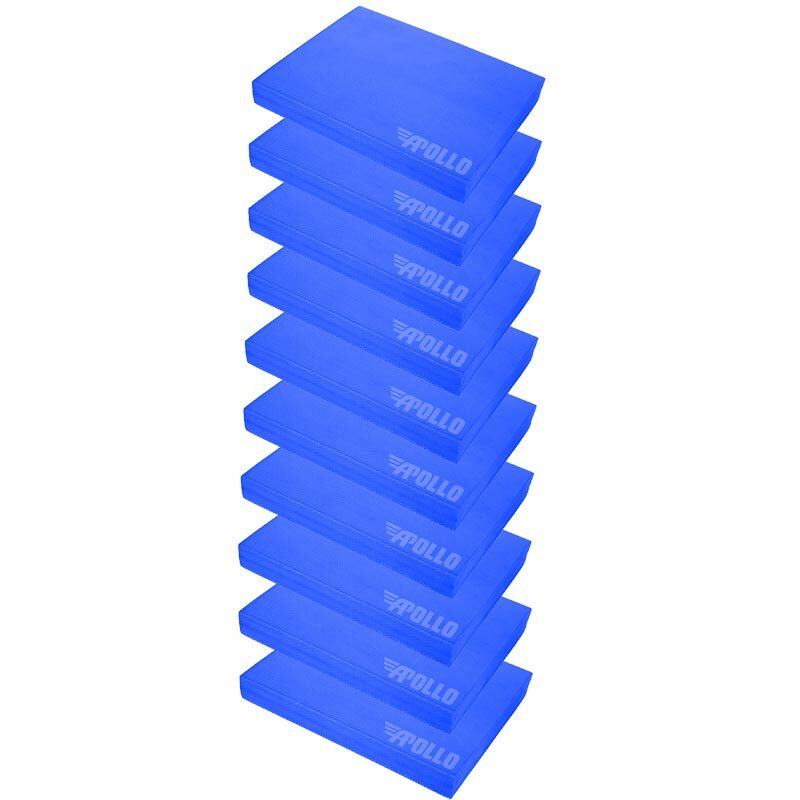 The Apollo TPE Balance Pad is designed for balance, coordination and reaction training. The unstable surface of the pad encourages you to crunch your core to improve your balance coordination and stability skills all at the same time. Ideal for beginners to professionals. A great tool for rehabilitation programmes following an accident or injury. Manufactured from a closed cell TPE foam which is non-slip, water resistant, easy to clean and ideal to transport and store. 10 x Apollo TPE Balance Pad.